I cannot tell you how much I love tucking into a big bowl of pasta, it’s so comforting & filling & it really is such a substantial meal. Meatballs are like little bites of heaven, so flavourful & satisfying and really easy to throw together, I oven bake mine for the added healthy factor, there’s not much fat in 5% mince but any that there might be drains out & is left in the baking tray & not in your tummy! 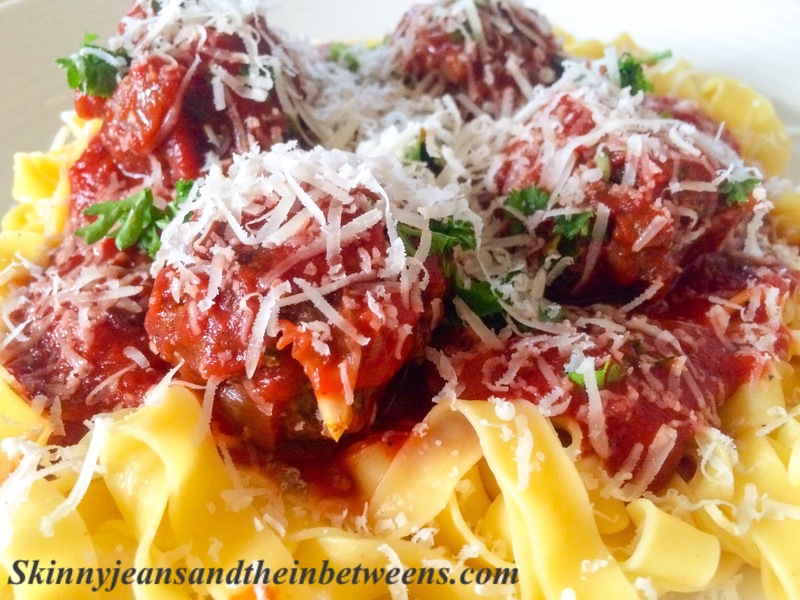 I gave these Meatballs a spicy little twist to give them a kick, I hope you enjoy! This is 11pp or 1pp on F&H if you use wholewheat pasta & it serves 4. Mix all the ingredients for the Meatballs together in a large bowl, lightly & form into 16 medium sized Meatballs (try not to compact the meat too much when mixing or forming the balls or the meat will be dense). Place in an oven proof dish or on a baking tray sprayed with spray oil & bake in a preheated oven at 200c for approximately 25 minutes or until cooked through. Meanwhile prepare your pasta according to packet instructions (make this just before serving try not to make it in advance & leave it draining or it will go stodgy on you). Make the sauce by lightly frying the shallots in spray oil over a medium heat in a medium sized pot for approximately 3 to 5 minutes until softened. Add the garlic & fry for a further 30 seconds to a minute. Add in the rest of the sauce ingredients (except the fresh parsley) & season with Salt & Pepper. 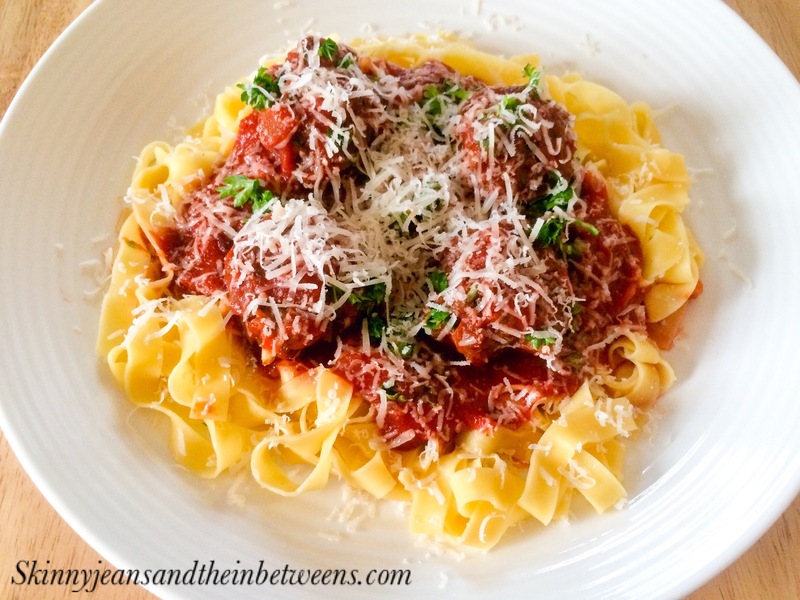 Simmer the sauce over a low heat for 20 to 25 minutes while the Meatballs are cooking. 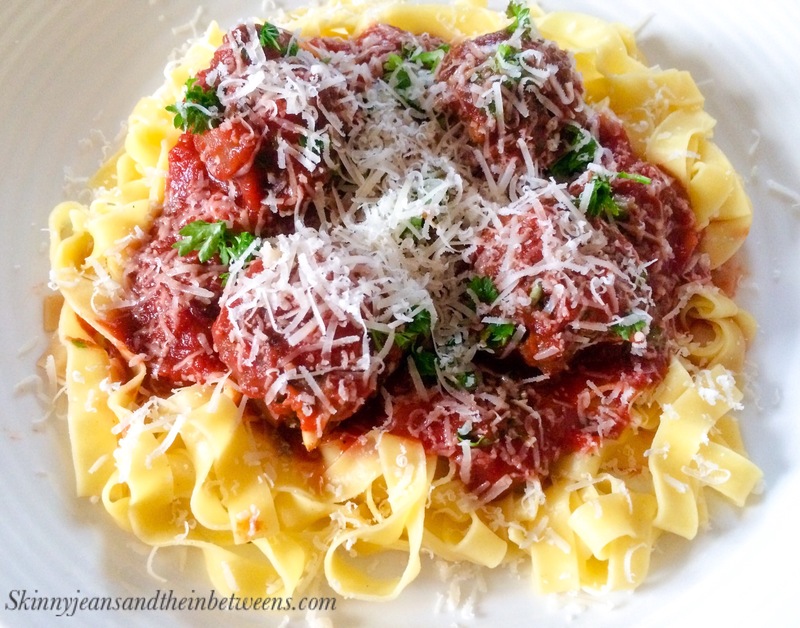 Remove the Meatballs from the oven when cooked & pop them into the sauce now add your fresh parsley. Quickly drain your pasta & portion it out. 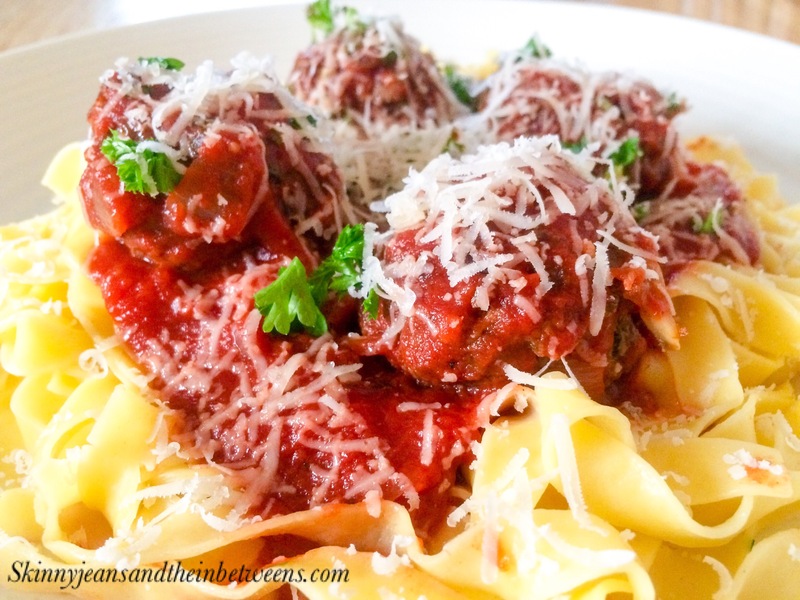 Serve with the sauce & 4 Meatballs per person sprinkled with the Parmesan. Enjoy!